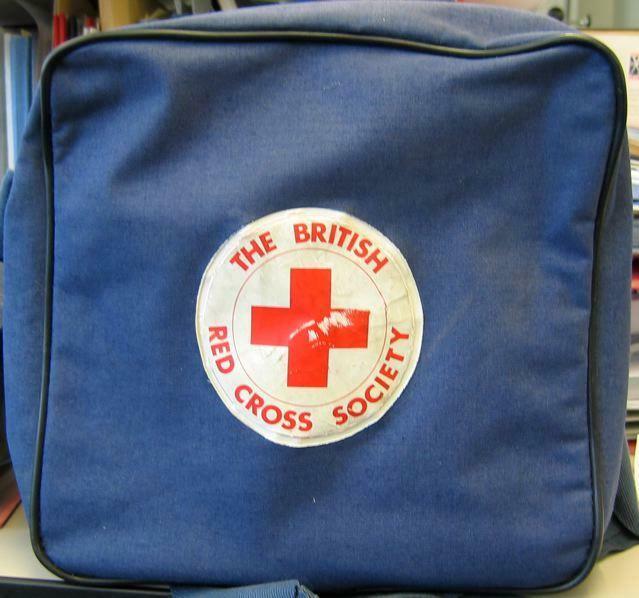 Blue cloth bag with adjustable long strap, with 'The British Red Cross Society' roundel on the front. Two plastic compartments inside. Used for carrying First Aid equipment.